I strongly believe that all authors should review the books they read. Some authors prefer not to share their reviews in public, not least for fear of revenge against their own books if they give someone else a less than glowing review. But even if they never publish their reviews, they should still write them, because the process of digesting and responding to a book will contribute to their development as a writer. (More about that idea here.) I’m more brazen than that. I review books not only on my own book blog (www.debbieyoungsbookblog.com) and on Amazon, and for various publications and organisations, such as Vine Leaves Literary Journal, founded by my multi-talented author friend Jessica Bell. Vine Leaves specialises in the vignette, so called to indicate a piece literally short enough to be written on a vine leaf. I don’t review the vignettes in the magazine, but books by those who have had vignettes accepted for publication by this prestigious magazine. These contributors write in many different genres, from poetry and flash fiction to children’s books and adult fiction. Thus reviewing for Vine Leaves also helps me take another piece of my own advice to authors, which is to read outside your comfort zone. Yes, writers should also read widely within the genre in which they’re writing, but if that’s all they read, they’ll quickly become blinkered to the rest of the world of literature – not good news for any writer. As indicated by the title of the latest book I’ve reviewed for Vine Leaves, their bookshop of contributors’ works is a great place to find interesting and unusual books. 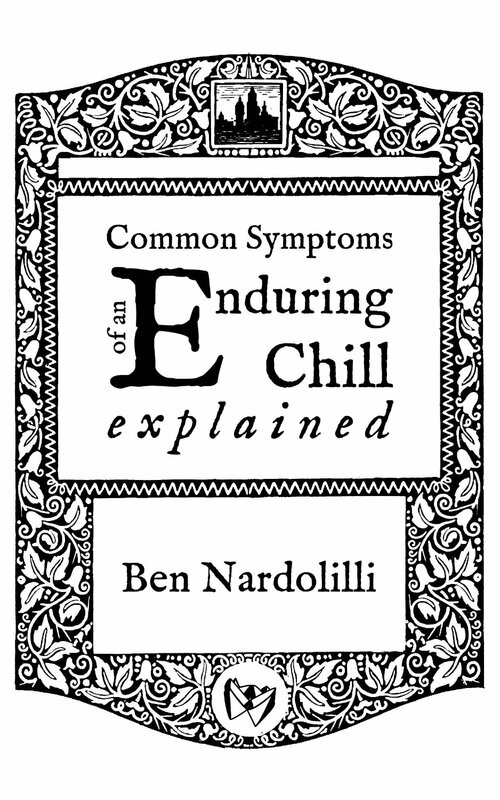 Here’s my review of Ben Nardolilli’s Common Symptoms of an Enduring Chill Explained. If you’re interested in submitting a vignette to Vine Leaves, or would like to know more about this distinctive literary form and enjoy some first-rate examples, hop over to the Vine Leaves website. Having work published by magazines like this is a great way to gain confidence and exposure as a writer, whichever form you usually write in, so if you’ve not yet tried it, why not give it a go? Like any author, I always welcome new reviews of my books. Gaining personal, thoughtful feedback from a reader, even if it’s only a few words, encourages any writer to keep writing and to try to please more readers. There’s also a commercial advantage, in that the more reviews an author has online, the more likely it is that other readers will find that author’s books and buy them. So if you’ve read any books that I’ve written, please consider leaving a brief review on any website of your choice – whether the site from which you made your purchase, on your own book blog, or via Goodreads, the global social network for readers. You’ll make my day. Well, provided you enjoyed my book, anyway! To keep informed about new book releases, you might like to sign up to my occasional enewsletter, which includes a free short story with every issue. I’ll be sending out the next one in the next few days, so now’s a great time to subscrbe! Just add your email address here. Nice post, Debbie. I agree. When analyzing other books, as you must when you review, you delve deeper into the art and craft of good writing, keeping in mind what you’ve learned and applying it later to your own writing.